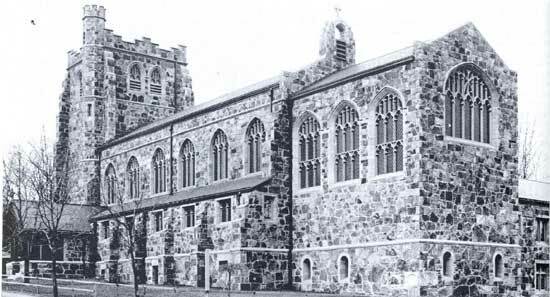 Begun as a mission of St. Mary's Church Dorchester, All Saints was founded in 1867 to serve Church of England workers who had come to work for the Old Colony Railroad and other local industries. 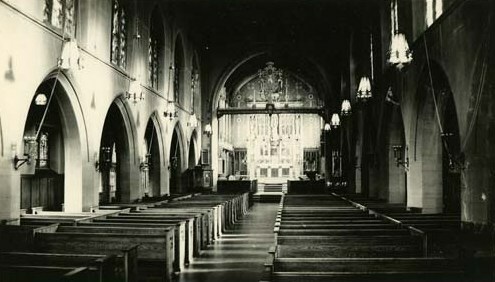 It grew rapidly, and in 1872 held its first services in a newly built wood frame church on Dorchester Avenue near the present Red-Line Ashmont station. 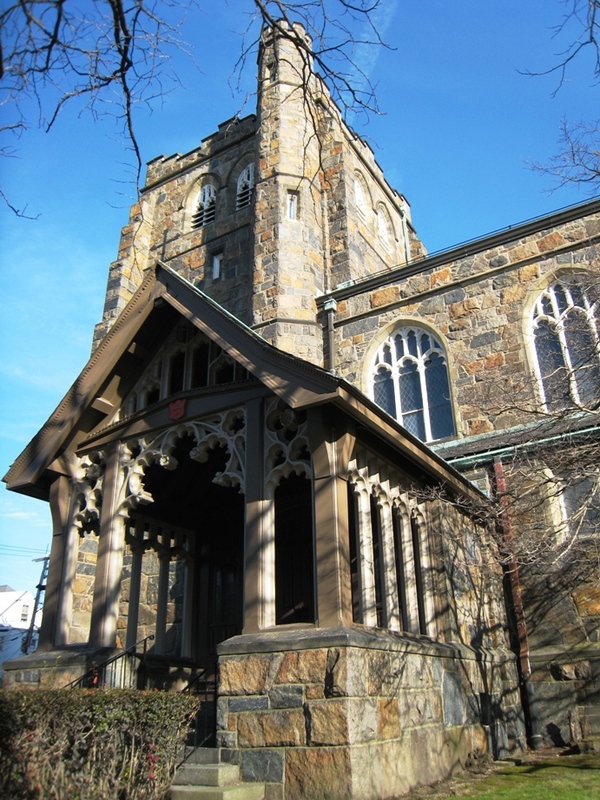 On the Feast of the Holy Innocents in 1879, Colonel Oliver and Mary Lothrop Peabody, prominent Boston Unitarians, boarded their horse-drawn carriage to attend services at King's Chapel. They journeyed in the sorrow borne of the recent death of their only child, Amelia. As they descended Adams Street from their Milton Hill home, the heavens opened and heavy snow began to swirl about. Their driver, concerned about the balance of the trip, suggested they attend his church, All Saints. The Peabodys agreed. They sat unobtrusively in the back of the church. Father Bennitt, then Rector, preached a sermon about the Holy Innocents. It struck a particularly resonant chord for the Peabodys, for he too had recently lost a child. The next Sunday the Peabodys returned to All Saints. This time they stayed for the entire service, and when they left, Colonel Peabody pressed a princely sum for the poor into the hand of the stunned rector. The Peabodys did not return to King's Chapel. They received instruction, and were confirmed. 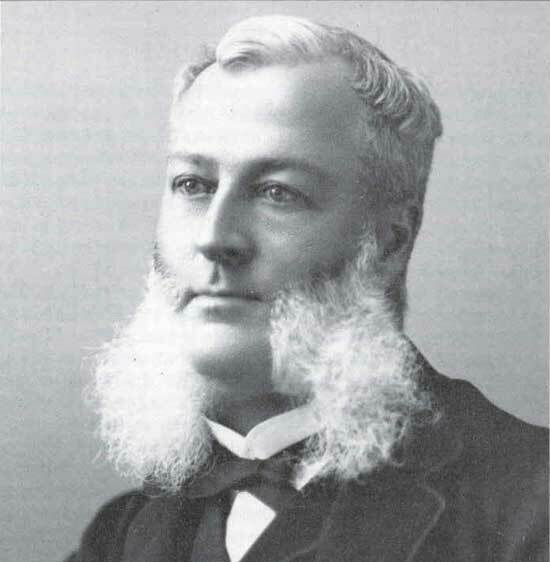 Father Bennitt's ministry was so well received that in short order the church added services, but still had worshipers standing on the porch and outside the windows for the five Sunday services. Doubtless, the Peabodys were the wealthiest members of the parish. 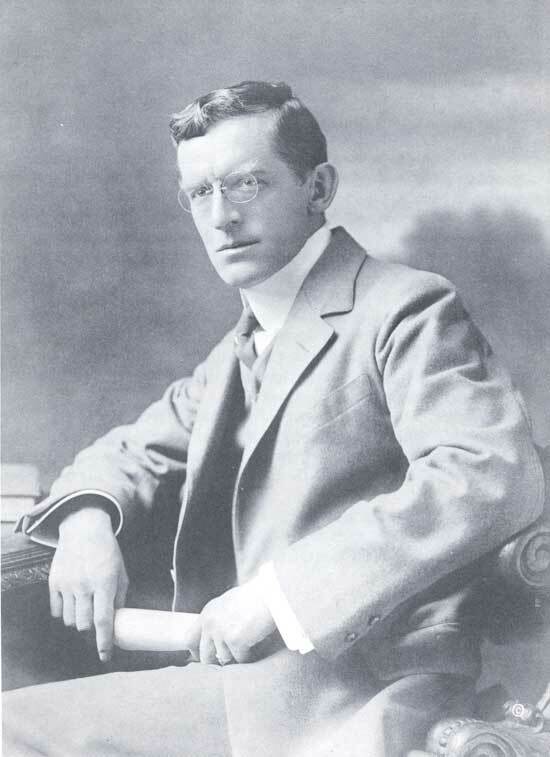 But it was the Colonel's skills as an investment banker (Kidder-Peabody) and leadership style that soon found him on the vestry as it planned a new and much larger church. 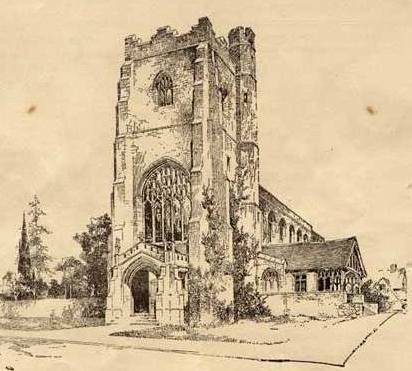 At the Peabodys' suggestion a 26-year-old architect, Ralph Adams Cram, was asked to propose a design for the new church. 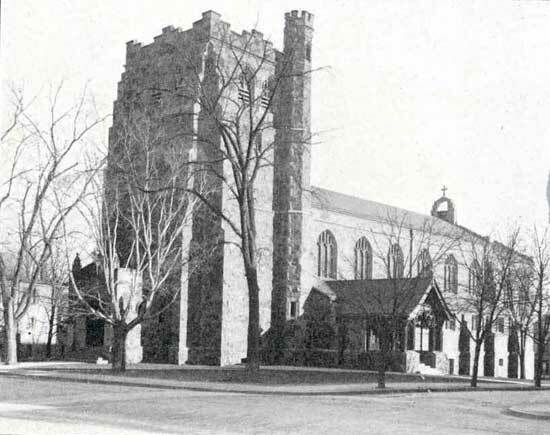 Cram's plans were approved and the Peabodys donated the balance needed by the parish to build the $100,000 church of Quincy granite and Nova Scotia limestone. Bishop Phillips Brooks blessed and laid the cornerstone on November 9, 1892. The first service in the church was held on December 27, 1893, and the building was consecrated by Bishop Lawrence on November 24, 1895. All Saints was Cram's first church, and it strongly influenced subsequent building in America and Europe. From its first to its present and 13th rector, the Reverend Michael J. Godderz, the parish has been committed to the principles of the Oxford Movement. A critically acclaimed choir of men and boys, under the direction of Andrew Sheranian, today fulfills another objective of the Peabodys. The choir sings at the Sunday Solemn Mass and at special feasts of Our Lord and Our Lady, as well as at community events. 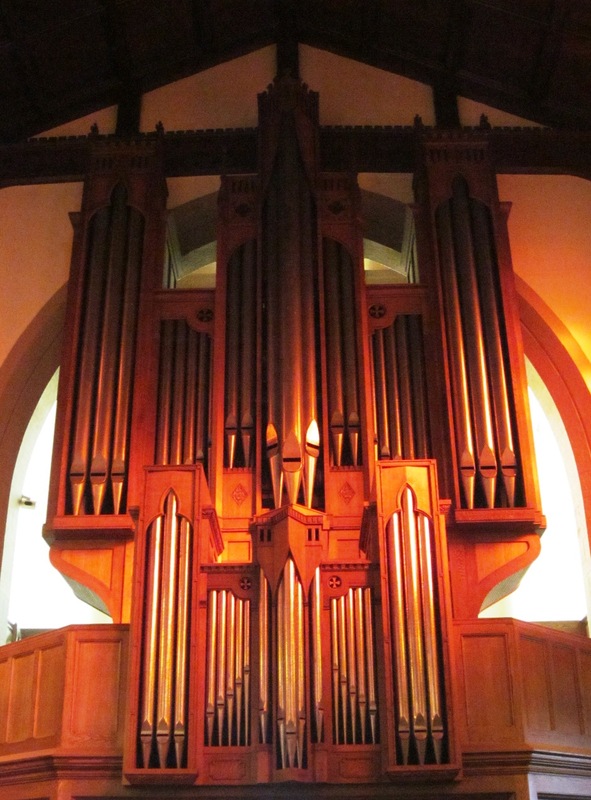 Congregational singing and choir music is also enhanced by the recent installation of a large C. B. Fisk tracker organ. In 1998 the Epiphany School was established and operated in the renovated parish house. It now occupies a new building in Dorchester and continues to provide the opportunity of a superb and comprehensive education. On the feasts of Michaelmas, Candlemas, Ascension, Corpus Christi and Assumption, Church of the Advent, Boston, and All Saints' share each other's churches and often each other's clergy. May God continue to bless richly this cooperative witness of two great Anglo-Catholic parishes. 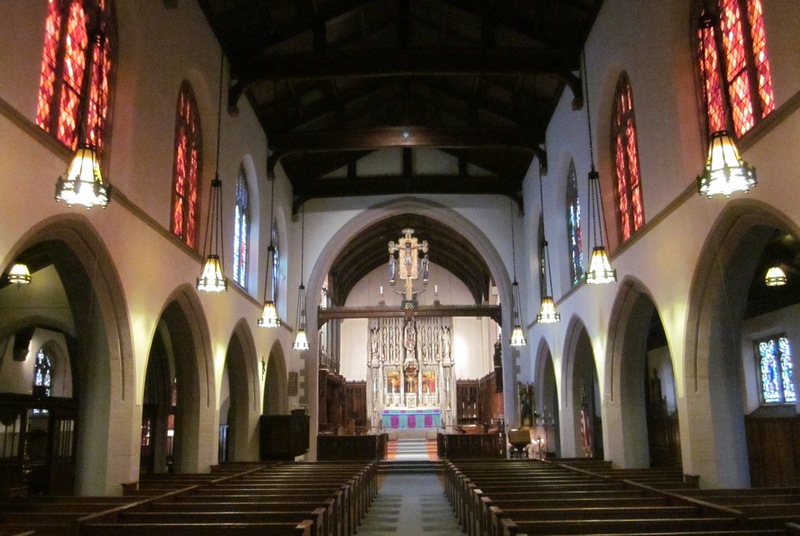 The Parish of All Saints is blessed with a church building of exceptional beauty and considerable importance in American architectural history. 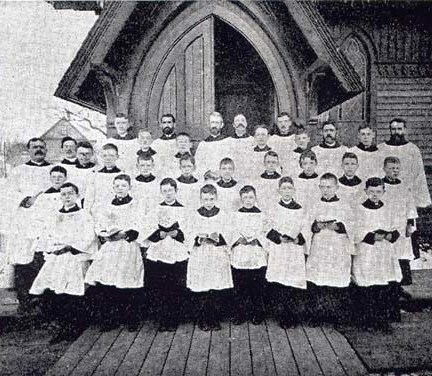 The cornerstone of the present church was laid in 1892. 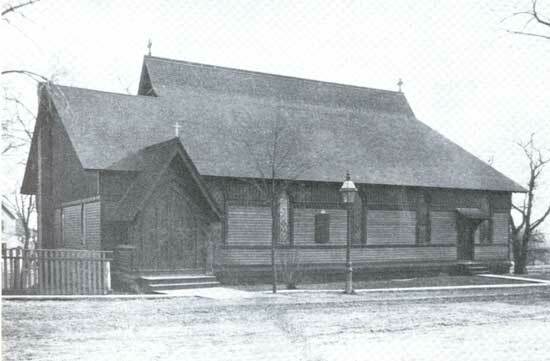 It was built to replace the modest wood-frame chapel, built in Lower Mills in 1872 and moved up Dorchester Avenue to Ashmont in 1882, which the parish had outgrown. 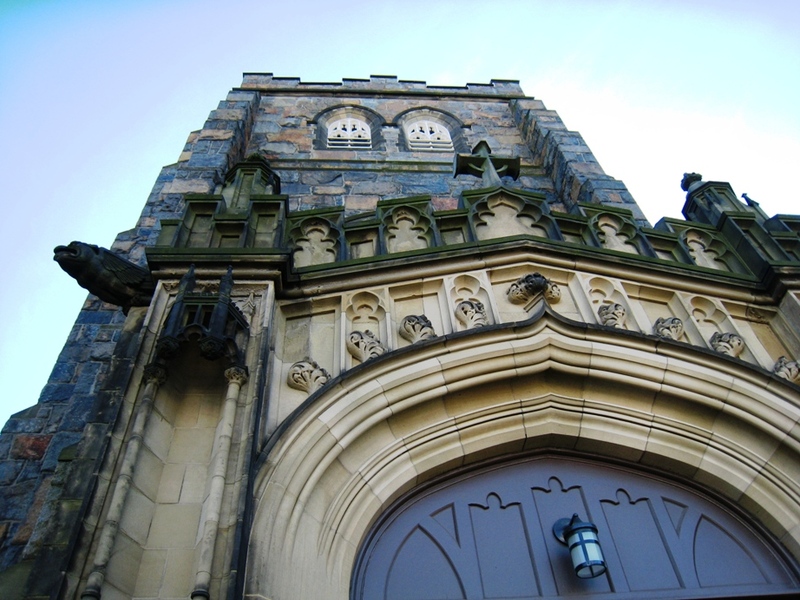 The first church designed by Ralph Adams Cram, All Saints' was published in virtually every American and European architectural journal and in Cram's widely-read book, Church Building. The nave, facing the altar, before the start of the 2013/2014 restoration. All the photographs in this Brief Guide are pre-restoration. 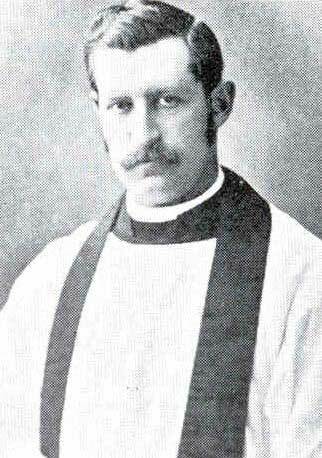 Cram's contribution did not cease when the church was opened in 1893; he and his colleagues continued to enlarge and embellish the church for several decades. 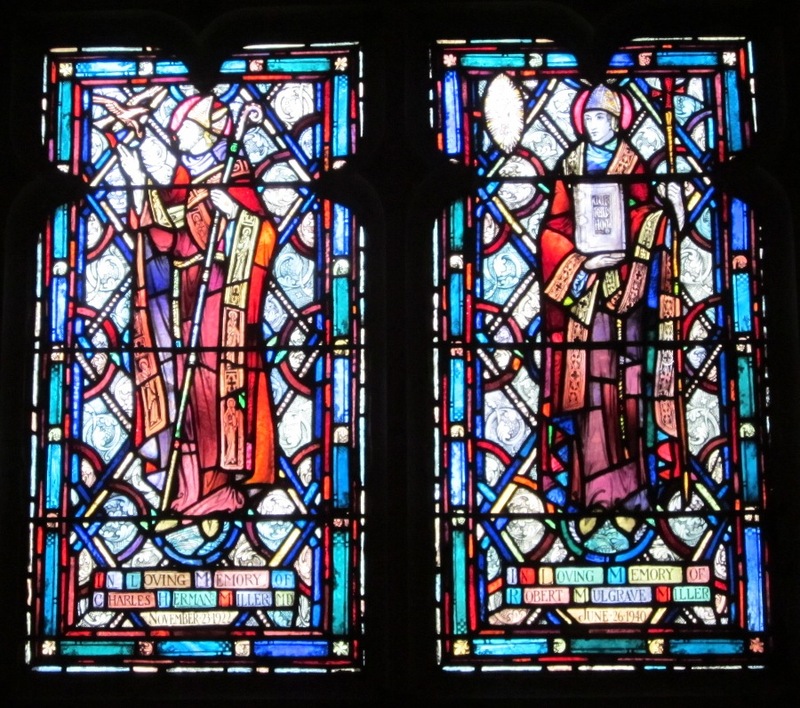 Under his guidance, All Saints' became a treasure house of ecclesiastical art in many media, including painting, sculpture, stained glass, and metalwork. 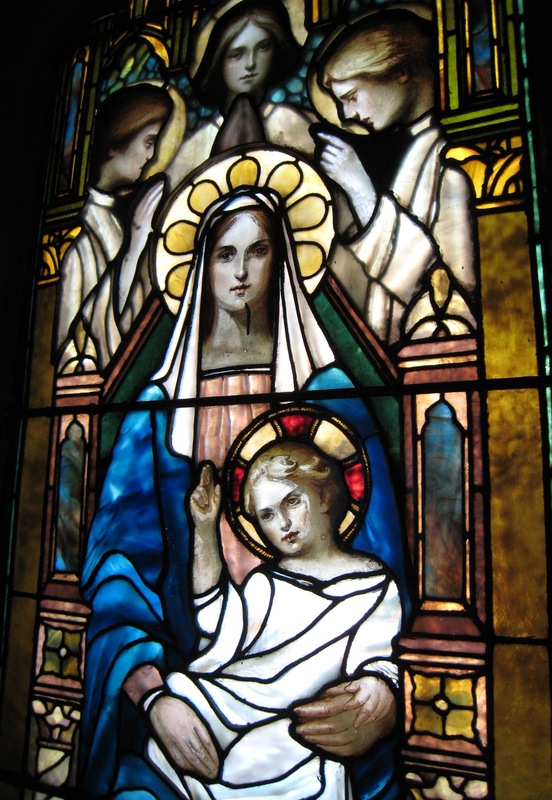 A brief guide such as this cannot do justice to the many artists and craftspeople involved; their work is extensively treated in the Centennial History of the parish written by Douglass Shand Tucci. 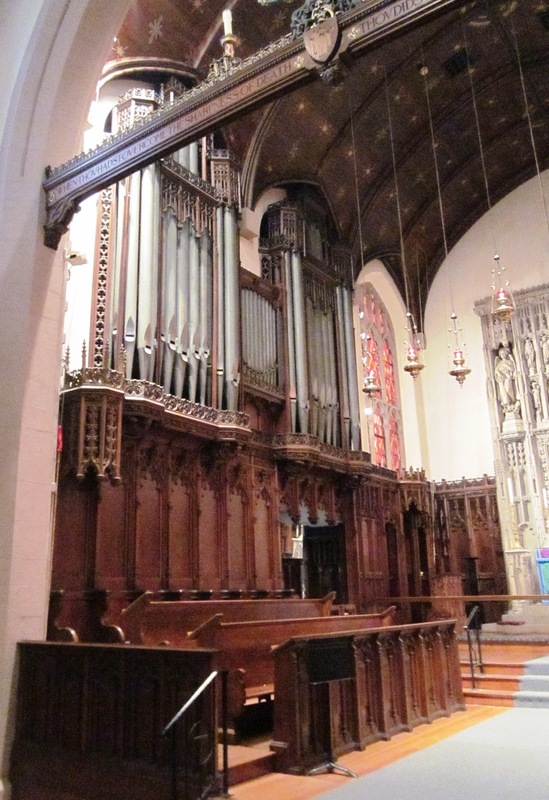 Entering the church from Ashmont Street via the Tower, one shortly encounters a recent addition to the interior, the Centenary Organ, built by C. B. Fisk, Inc. and dedicated in 1995. Passing beneath the organ balcony, one enters the Nave. This portion of the church, with its stone arches, plaster walls, and wood ceiling, is notable for its simplicity. Most of the clerestory windows retain the "temporary" glazing of 1893: diamond-shaped panes of reddish-colored glass. 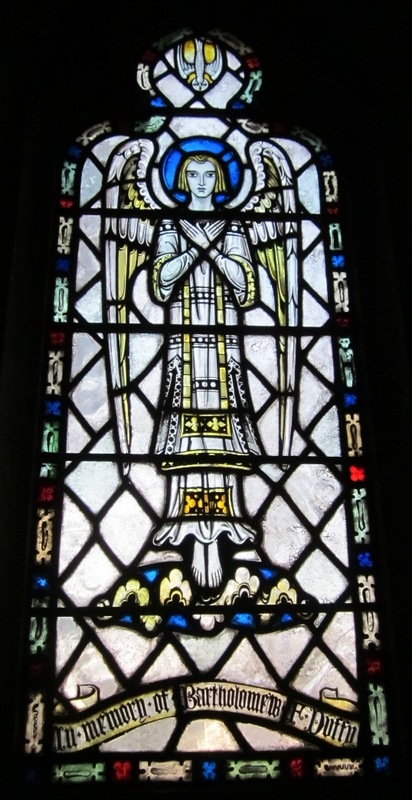 Only four of the clerestory windows in the nave have received their intended figural glass, and each is the work of different artist. For his "Adoration of the Magi" (1896), Henry Goodhue chose the opalescent glass and autumnal palette favored by American glass artists at the end of the nineteenth century. For his "Risen Christ (1907), Christopher Whall, a leading English glass designer of the early twentieth century, preferred intricately-leaded silvery glass with accents of pure, brilliant color. 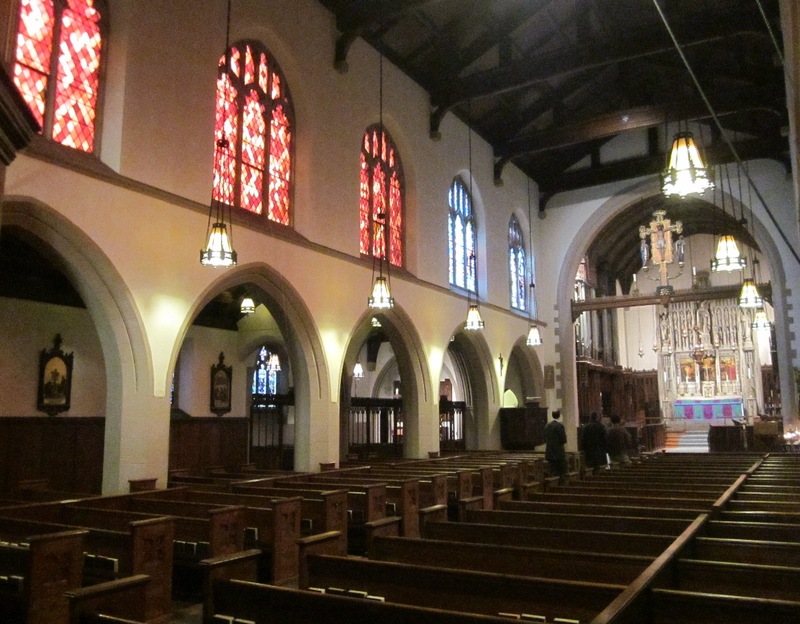 The Side Aisles contain a notable series of small stained-glass windows by Vaughn O'Neill and Charles Connick, as well as ten Stations of the Cross by Angelo Lualdi. 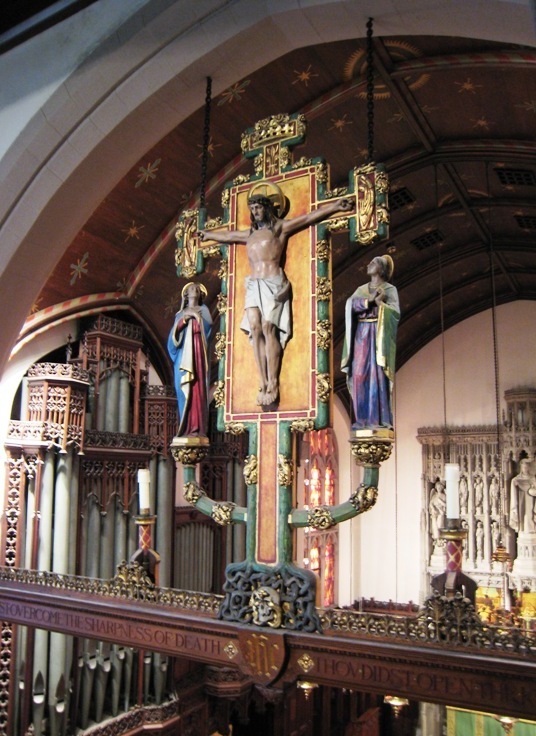 Standing on an oak beam high in the chancel arch and dominating the entire Nave is the great Rood (the old English word for cross), on which Christ both suffers and reigns, flanked by St. Mary and St. John. 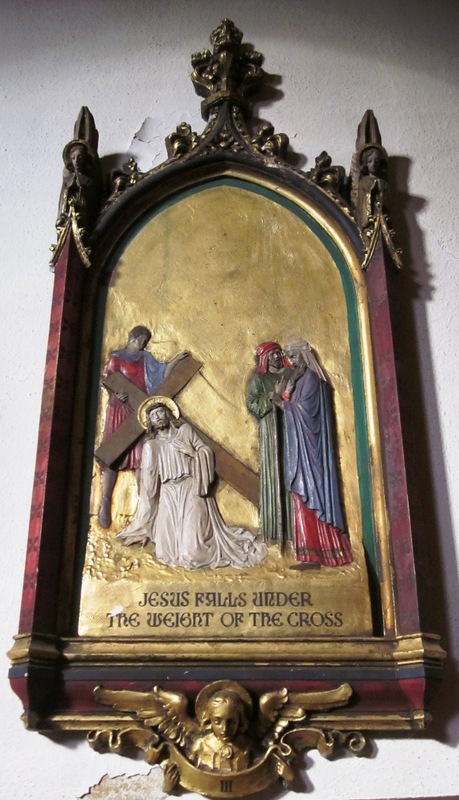 This crucifix, with figures carved by Angelo Lualdi and painted by Ralph Flint, was dedicated on Easter in 1911. 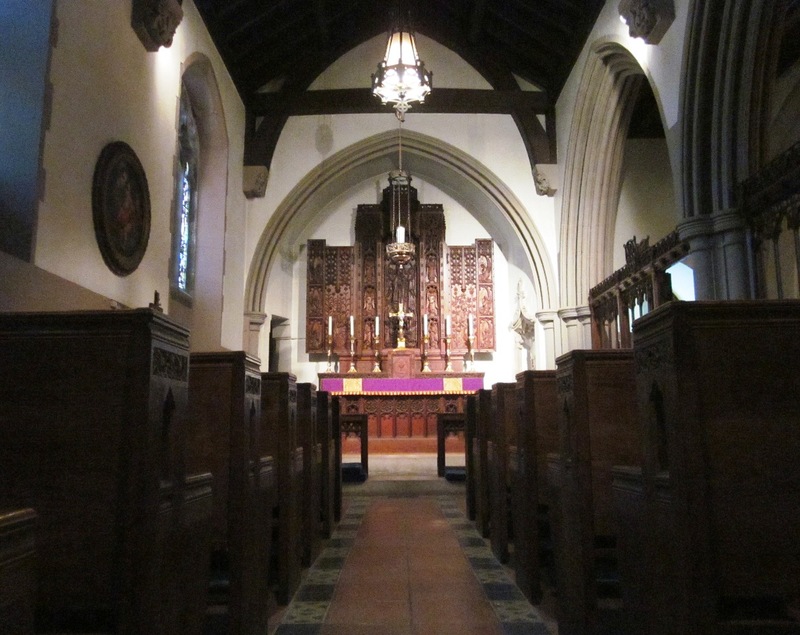 The Chancel beyond consists of two parts. 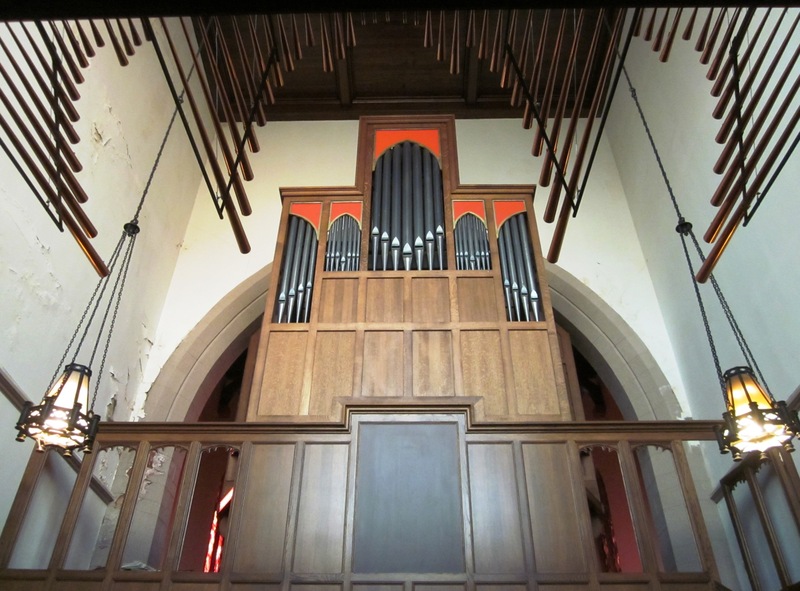 The first, called the Choir, contains stalls and benches for singers and the façade of the Chancel Organ, most of whose pipes are located in an adjacent chamber. 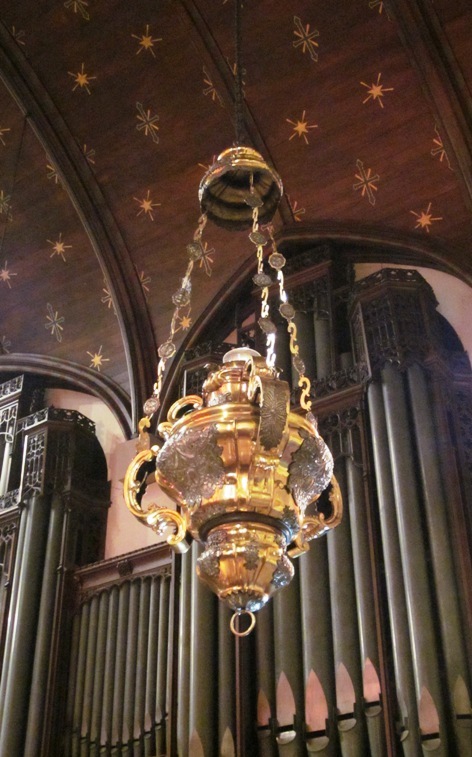 The second part, called the Sanctuary, is separated from the Choir by steps, a communion rail, and a row of seven hanging lamps. 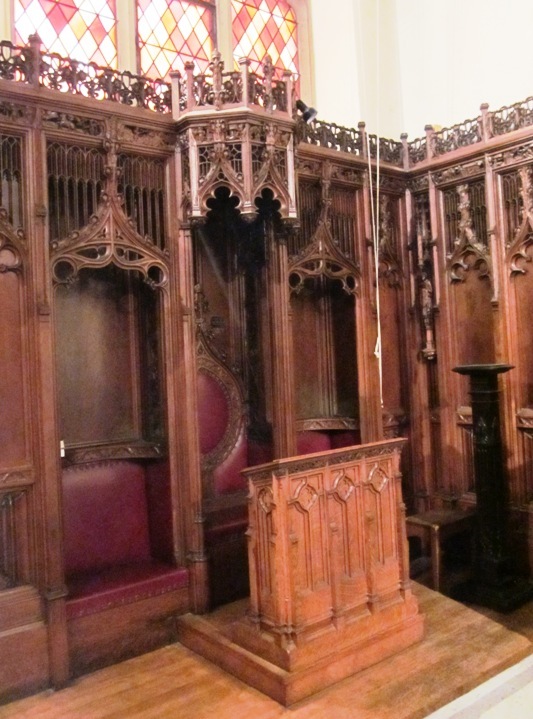 The Sanctuary contains the High Altar, flanked on the left by the Bishop's Throne and on the right by the Sedilia, a triple seat for the priest, deacon, and subdeacon. 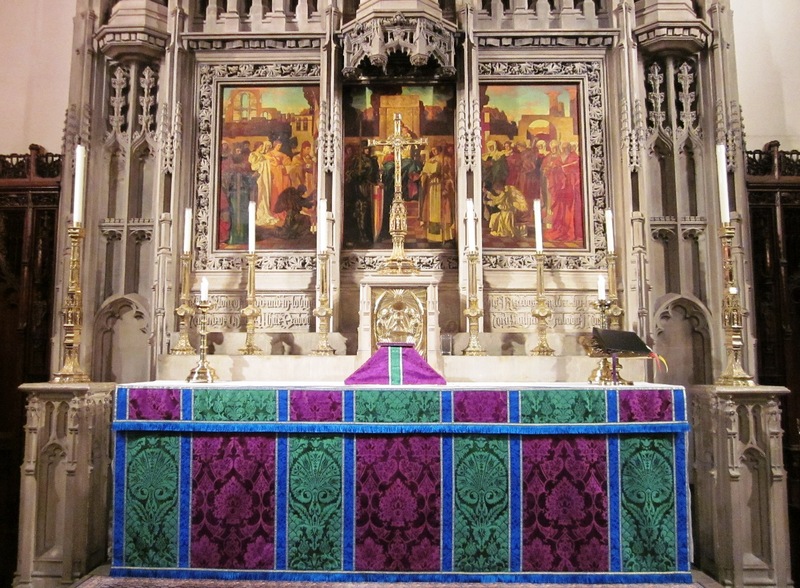 The High Altar could not be more elemental; it consists of a single block of limestone, weighing seven tons. Except on Good Friday, it is concealed by textile coverings. Plain white linen covers the top and sides; damask frontals, their colors changing for various feasts and seasons, conceal the stone behind. 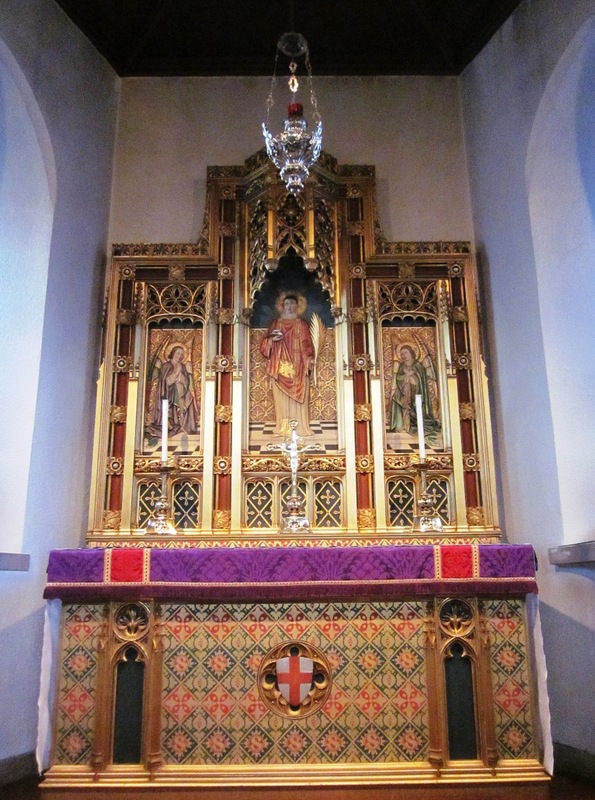 The importance of the altar is indicated by the lofty Reredos which rises behind it. 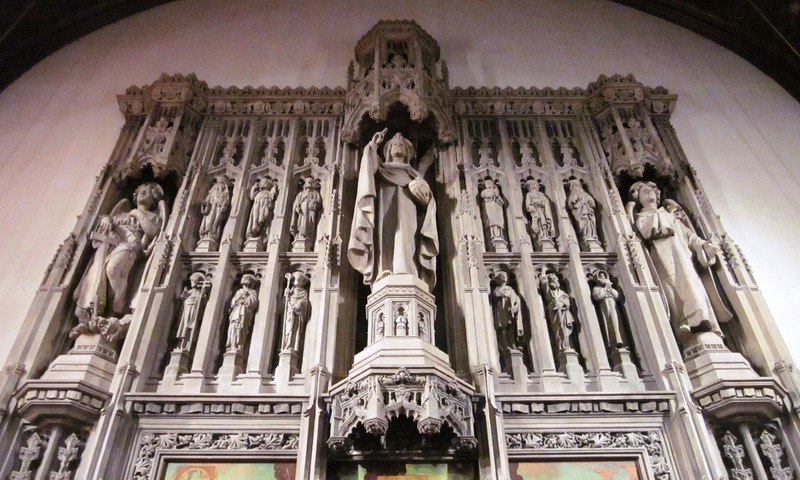 Designed by Ralph Adams Cram and Bertram Grosvenor Goodhue and carved from French limestone by the John Evans Company, the Reredos incorporates figure sculpture by Domingo Mora and a three-part painting on canvas by George Hallowell. Mora's statue of Christ the King occupies the central canopied niche; he is flanked by large statues of the archangels Michael and Gabriel and by smaller images of twelve representative saints. In Hallowell's painting, Our Lady is enthroned as Queen of Heaven, holding her Son and venerated by saints and angels. Notable accessories of the High Altar include the gold-plated brass Cross and Candlesticks, designed by Bertram Goodhue and made by Thomas McGann; the Tabernacle, executed by James Wooley, where the Blessed Sacrament is reserved; and the Sanctuary Lamp, a seventeenth-century antique from Russia, with a white light to indicate the presence of the sacrament in the tabernacle. 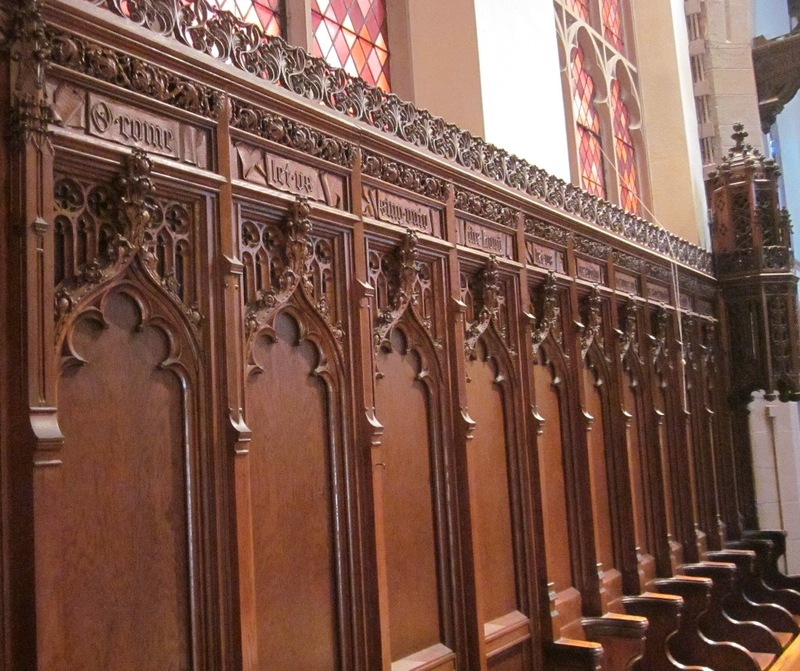 Finally both Choir and Sanctuary are lined with elaborately-carved oak paneling. Designed in 1899 by Goodhue and executed by Irving & Casson, the paneling incorporates over sixty small sculptures by John Kirchmayer. To either side of the altar, near the top of the paneling one can see two series of miniature Bible scenes. On the left Kirchmayer has carved incidents from the Old Testament; on the right he has depicted corresponding events from the New Testament. 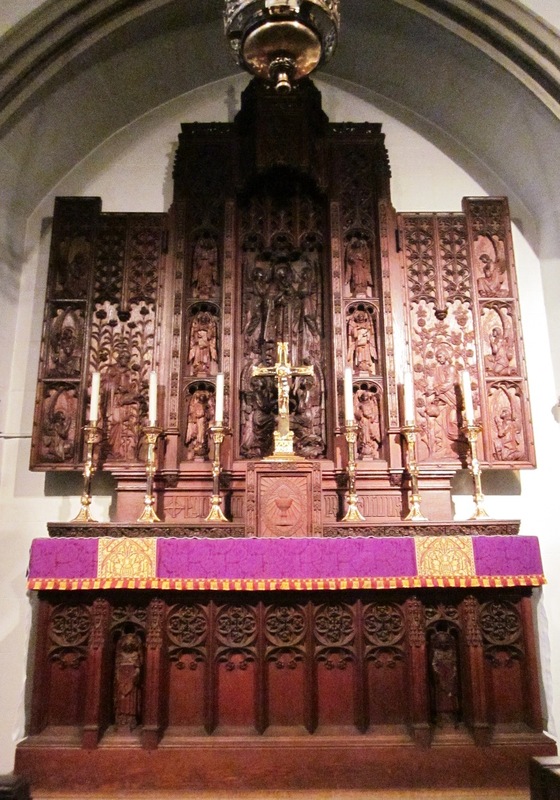 Both the reredos and the chancel paneling were gifts of Mary Lothrop Peabody, the parish's most generous benefactor, in memory of her husband, Colonel Oliver White Peabody. Adjoining the Nave are two side chapels. The larger of these, dedicated to The Blessed Virgin. 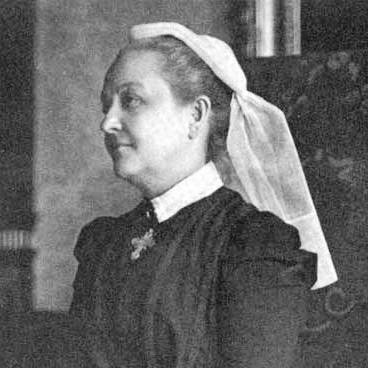 Mary, was planned in 1911 as a memorial to Mrs. Peabody. 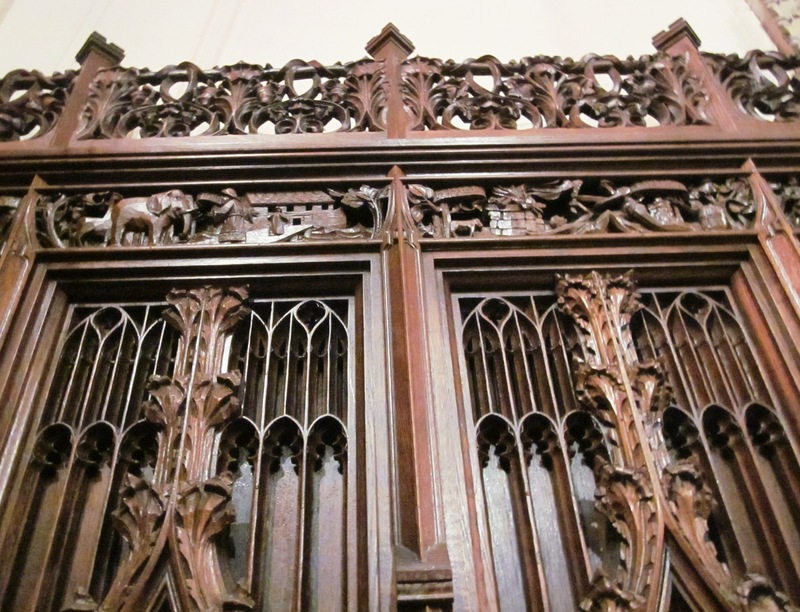 Outstanding among the contents of St. Mary's Chapel is the carved oak Triptych by John Kirchmayer above the altar. In the central panel he has portrayed Our Lady being crowned by one pair of angels and worshipped by a second pair, while still more angels lurk in the embroidery of her robe. The two side panels are hinged so that they can be closed during Lent. 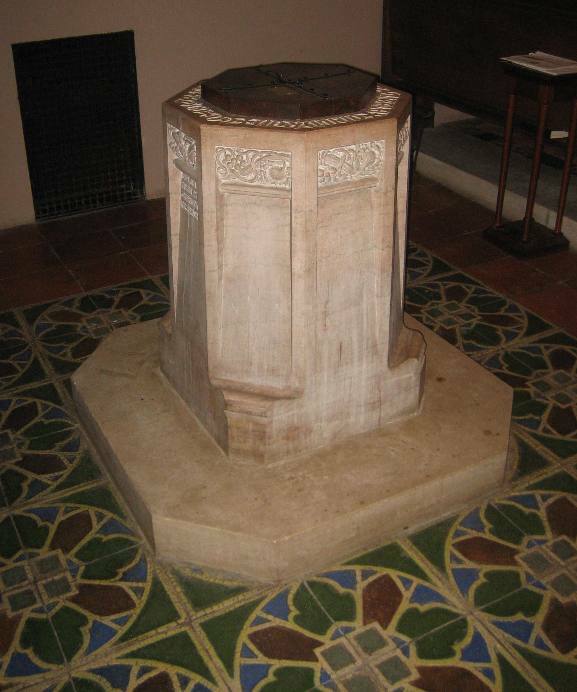 The encaustic tile pavement around the altar is the work of the Grueby Faience Company; the Tennessee marble Baptismal Font was carved by the John Evans Company; and the stained glass windows were made by Herbert Davis. 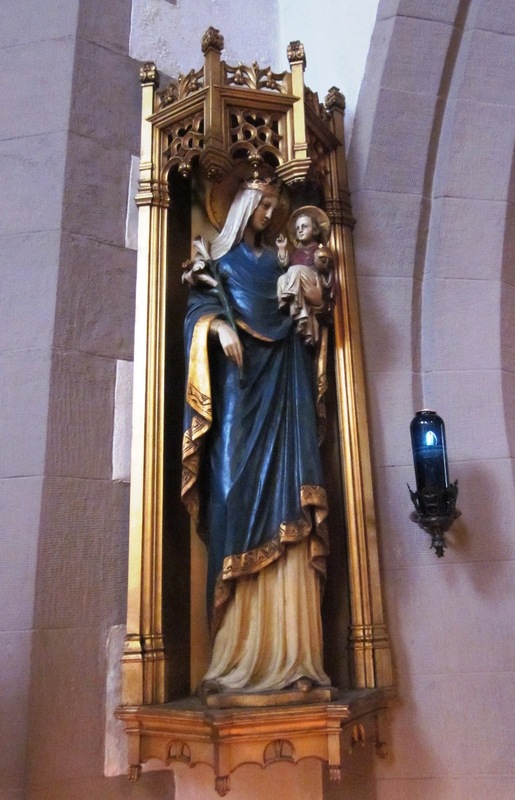 Outdoors, above the entrance to the chapel, is another Madonna, sculpted in stone by Arthur Atkins (picture here). 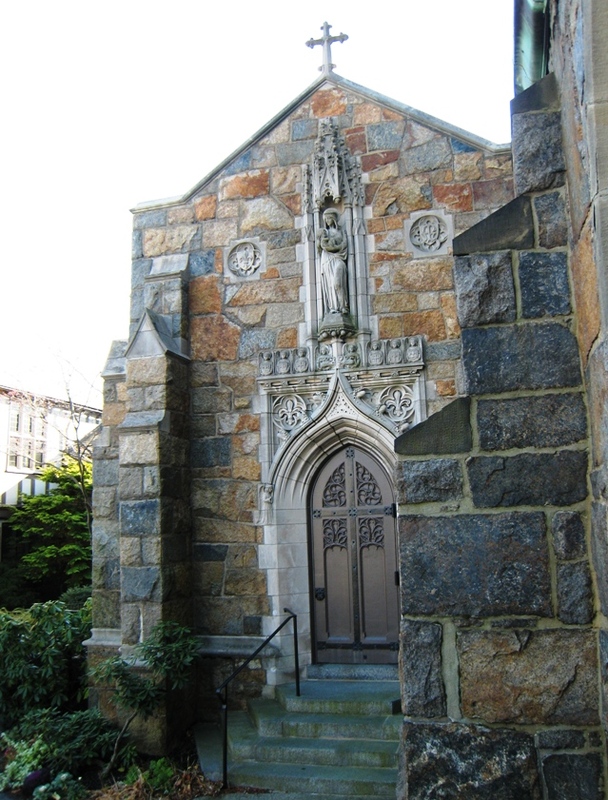 The other chapel, added to the church in 1929, is dedicated to St. Stephen, the first Christian martyr. The altar and reredos, however, date from ten years earlier. They are work of Frank Gedies, with color and gilding by Lauritz Rasmussen. St. Stephen is shown with the stones which were the means of his death at the hands of an angry mob and with the palm branch which is the sign of his ultimate victory. 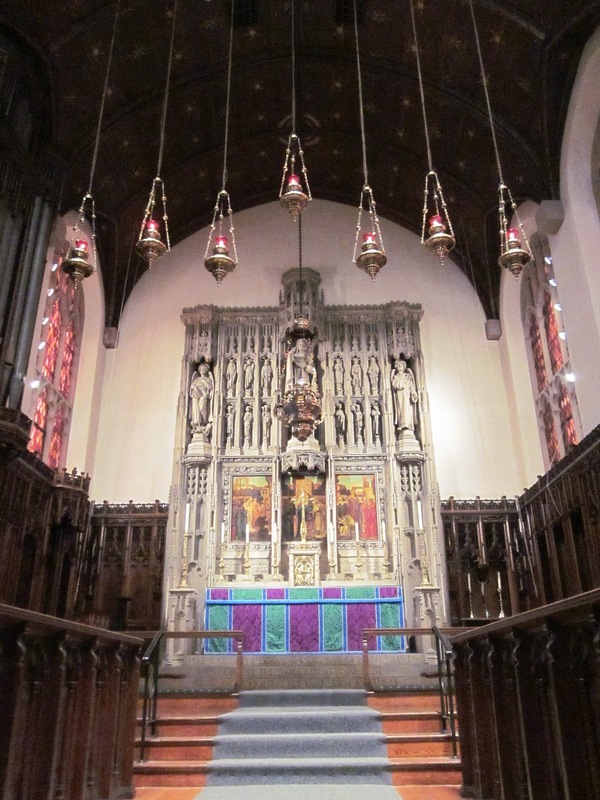 It is interesting to see how Cram has used a distinctive material for each of the church's three altars: stone for the High Altar, unvarnished oak for St. Mary's, and brilliantly painted and gilded wood for St. Stephen's. Tucked in the corners of the Nave and Lady Chapel are four shrines with holders for votive candles. 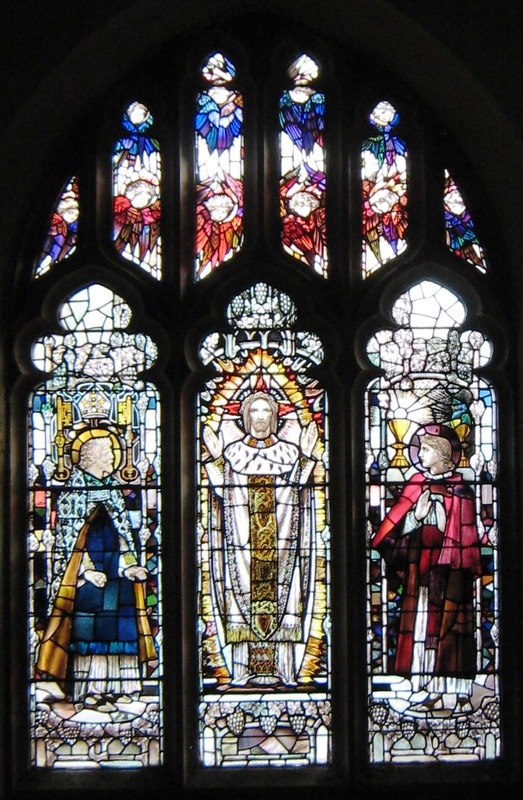 These shrines include two statues of Our Lady (under the titles of Dorchester and Walsingham), one of St. Joseph, and an icon of Charles I, King of England and Martyr. This ensemble of distinguished religious art forms an appropriate setting for the parish's unabashedly catholic approach to faith and worship. 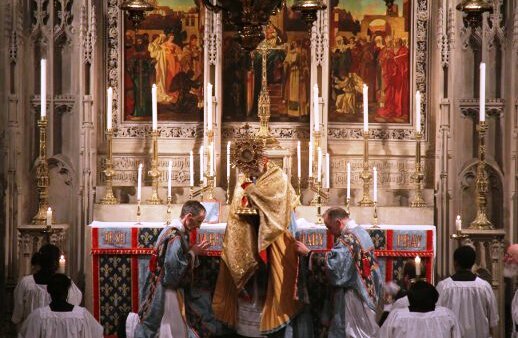 The principal service on Sundays and major holy days is a Solemn High Mass. 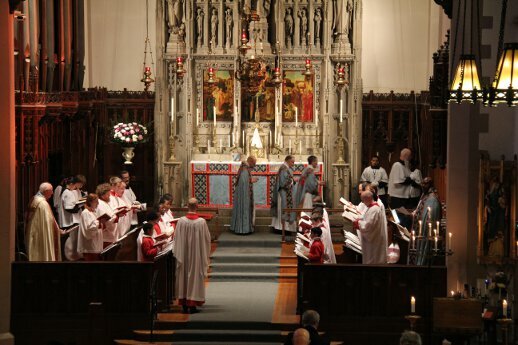 ("Solemn" indicates that parts of the service are chanted and that incense is used; a "High Mass" requires three ministers, a priest, a deacon, and a subdeacon.) From September through June, the musical portions of these services are rendered by a professional choir of men and boys. Our traditional Anglo-Catholic worship continues to attract and sustain people from varied social, economic, and ethnic backgrounds. Historic photos courtesy of the Dorchester Historical Society and www.dorchesteratheneum.org. All text and other images are the property of the Parish of All Saints.